We bring together multidisciplinary expertise to provide a national and international collaborative centre for the support, promotion and dissemination of academic and policy work in human rights. Our MA in Understanding and Securing Human Rights offers a practice based study of human rights in an inter-disciplinary curriculum. Human Rights Consortium brings together a multidisciplinary expertise and experience in human rights. Meet the HRC team here. 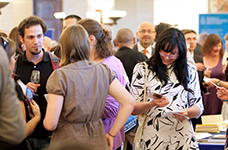 We organise and support academic, policy and practice-oriented events on human rights. Most events are free and open to the public. Find out more about our current and past research themes including indigenous people's and minority rights and environmental justice. Human Rights Researchers' Network provides a unique platform to promote and facilitate interdisciplinary human rights research.